SCRIPT: HOW TO START THE PROCESS? 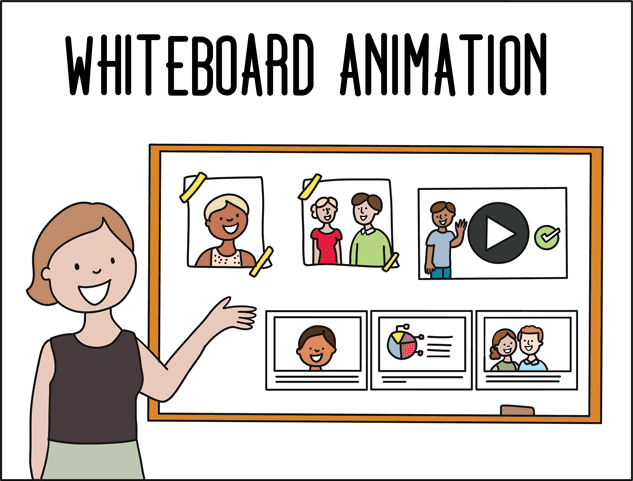 Basically, a whiteboard animation is a drawing explainer video that tells a story using cartoons, voice and music. The process start with the creation of a script that will define the scenes of the explainer video. This script can be read using a professional voiceover (recommended) or you can choose not to use voiceover (using only text or music). In order to start we ask our clients to send us a first draft of what they have in mind for their video and with no extra fee we will check it and make suggestions. HOW CAN I CALCULATE THE TIME OF THE VIDEO? If you plan to create a whiteboard with voiceover the time of your movie can be calculated by the number of words. The formula is: 150 words will make 1:00 minute of video. If you need more information please visit our page of examples whiteboard animations. HOW LONG IT TAKES TO CREATE THE WHITEBOARD? Final review of the script, voiceover selection and reception of brand id (logos, photos, etc). Creation of main characters of your movie. Production of storyboard and voiceover production. Delivery of voiceover, choice of music and review of the storyboard. Adjustments and creation of the movie. Review and delivery of the movie. HOW CAN I CALCULATE THE COST? The cost of your drawing explainer video is based in the number of words of your script, not on the length of your video. The number of words of your script will define the number of cartoons that we need to create. An average of whiteboard animation video of 150 words has 50 custom made illustrations that makes around 15 to 20 scenes. Our price includes the voiceover recording in English language. If you required another language a small fee may be added to your video.